Port Vila, Vanuatu’s capital is on Efate island. 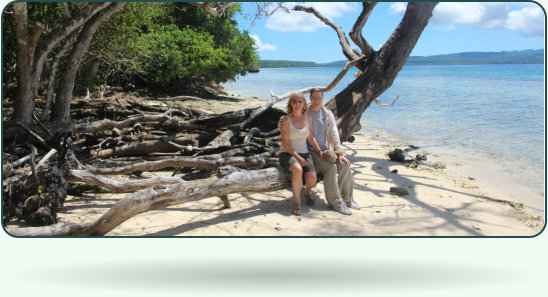 Efate is a popular tourist island for a relaxed tropical lifestyle, with gourmet restaurants, top diving, world- class game fishing and plenty of watersports, Our mooring was off Port Havannah, between the Efate and Moso Islands. We visited the Tranquillity Island Eco Resort on Moso Island which runs the Hawksbill turtle conservation project that raises young turtles and then releases them as adults back into the sea. We visited Pele Island for snorkelling in the afternoon.